In honour of National Meadows Day, I visited my favourite meadow at golden hour. It is beautiful place anytime of the day, but the light this evening made the wild flowers shine! Just a quick message to wish everyone many magical moments with nature in 2017. I was back in Worcester for the day on Tuesday. I had a few moments to myself, and so seized the opportunity to witness the flood waters and the swans of the River Severn. My 2015 was a good year, it was also a very busy one! 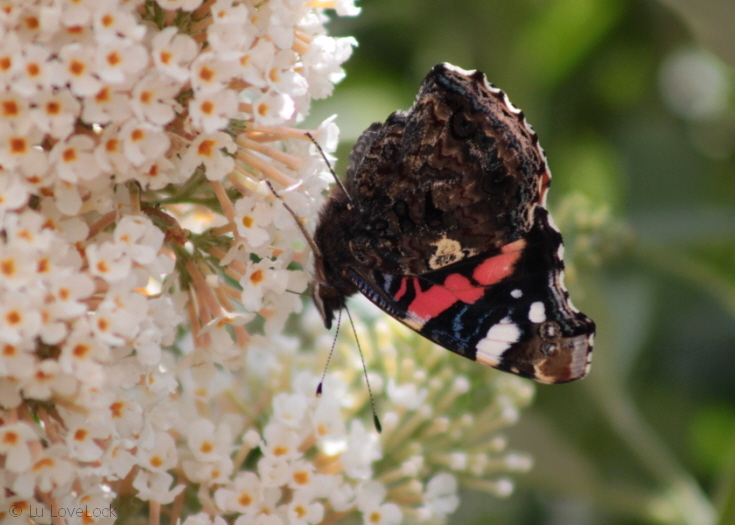 Choosing a photograph per month to blog was both enjoyable and a challenge. It’s something I’ll be carrying through into 2016. There were many other photographs that I loved to, so here are a few highlights . Have a wonderful 2016 everyone! I’ve had a rather an exciting summer, moving to a new home 65 miles across the country! I now live in the Market Bosworth area and it’s a lovely place to live. I have hedgehogs visiting my front garden, at least 5 different individual hogs come to munch on the bowls of mealworms that I leave out for them. 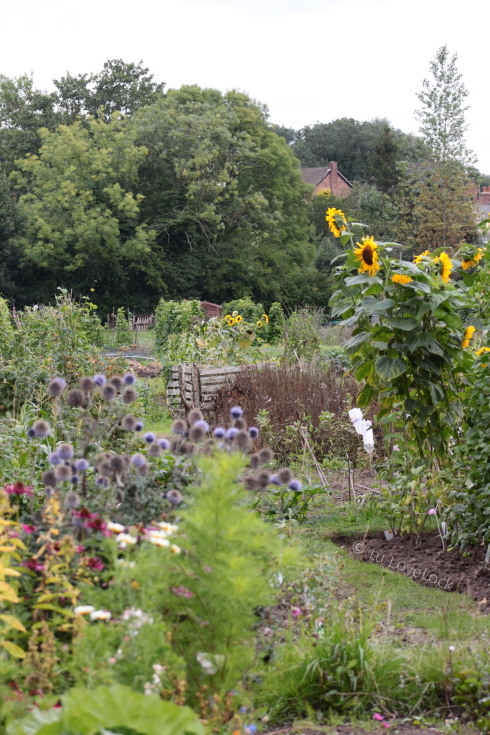 I’m guessing they come from the beautiful allotments just down the road from me. I’ve also got colony of sparrows and a flock of starlings visiting the bird feeders in my front garden. It’s wonderful to watch, but I do end up refilling the feeders every day! In a hunt to find a top up bird seeds for those hungry birds, I found a lovely garden centre. 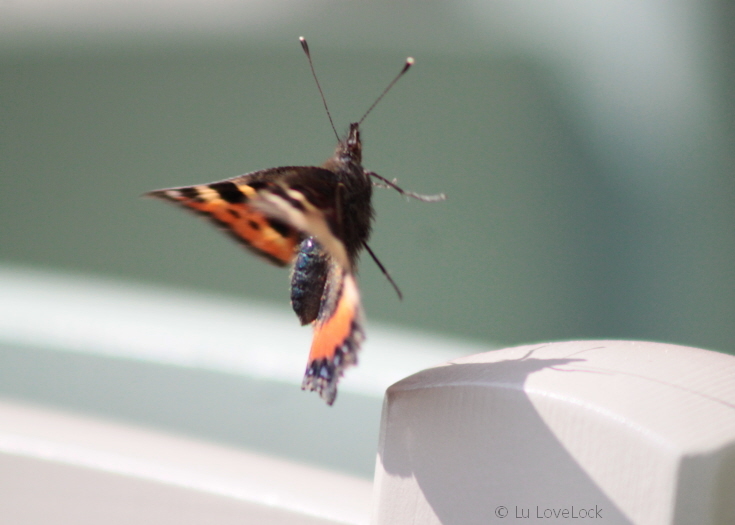 In the warm sun, I balanced eating an ice cream with photographing these lovely butterflies! 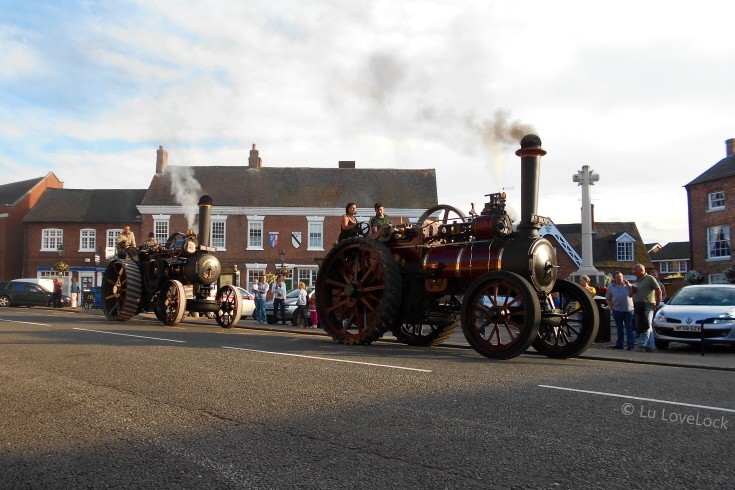 On my way home from work one night I got a surprise, I came across a gathering of traction engines. 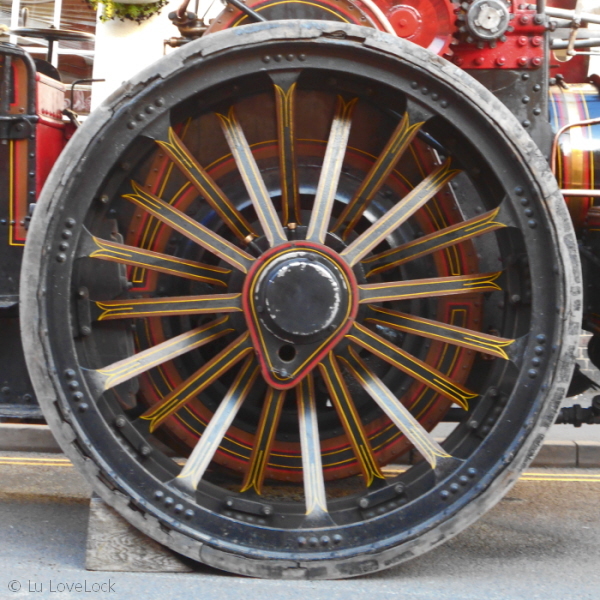 So I had to stop and admired the incredible machines! 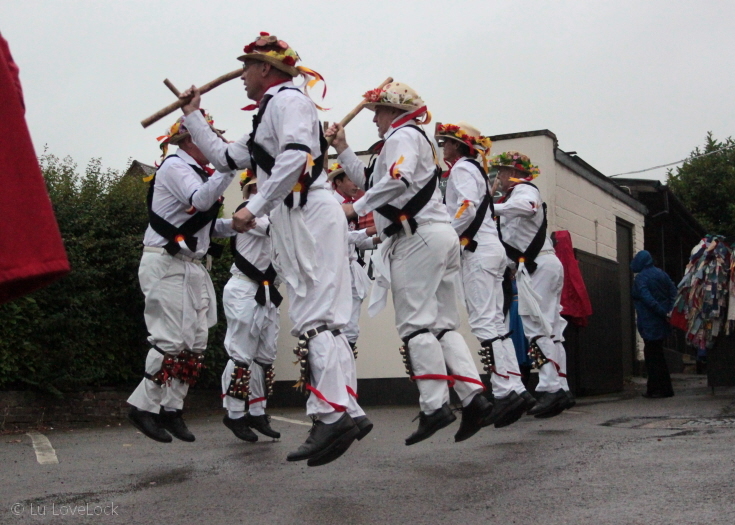 I had a bit of fun another evening, watched the Leicester Morrismen. 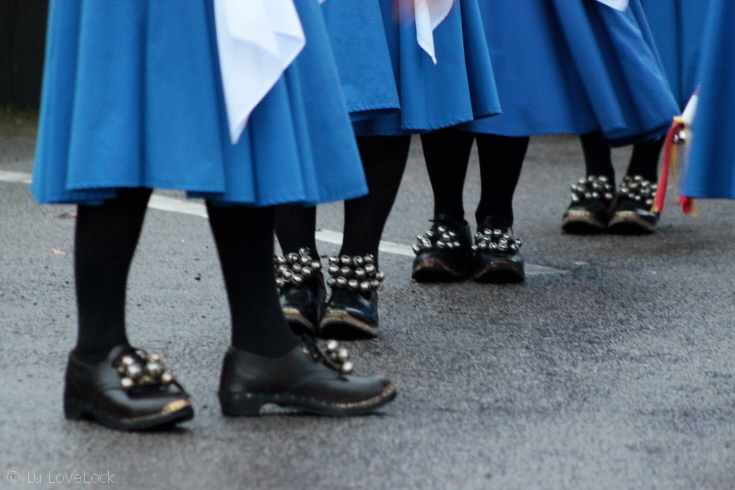 A pint and a dance, a great evening! The most random of moments happened a few weeks ago. When I opened the door to put out the hedgehog food, a large buzzing beastie flew over my head. 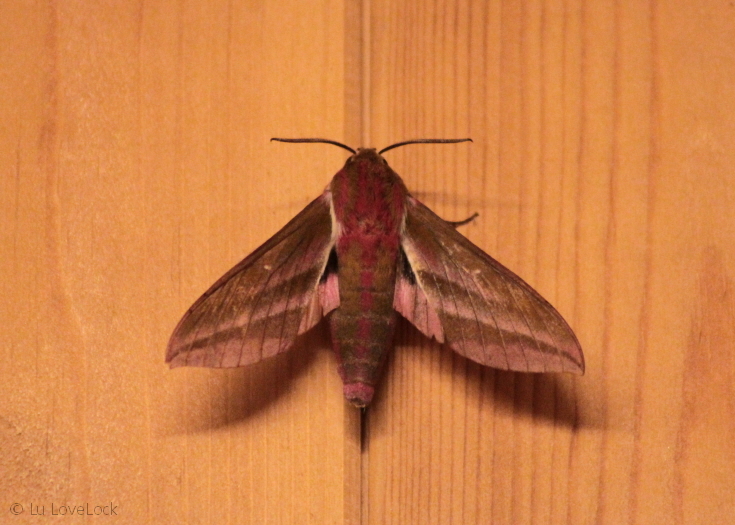 Turned out to be a Large Elephant Hawk-moth. 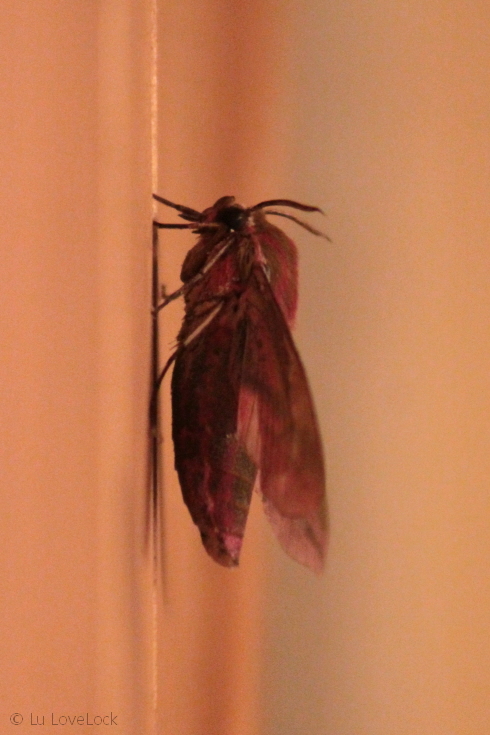 A most welcome and colourful house guest! My last photo for this blog is a rather stunning sunset taken on my way home from work one evening. I couldn’t resist stopping to admire these fiery streaks of colours.